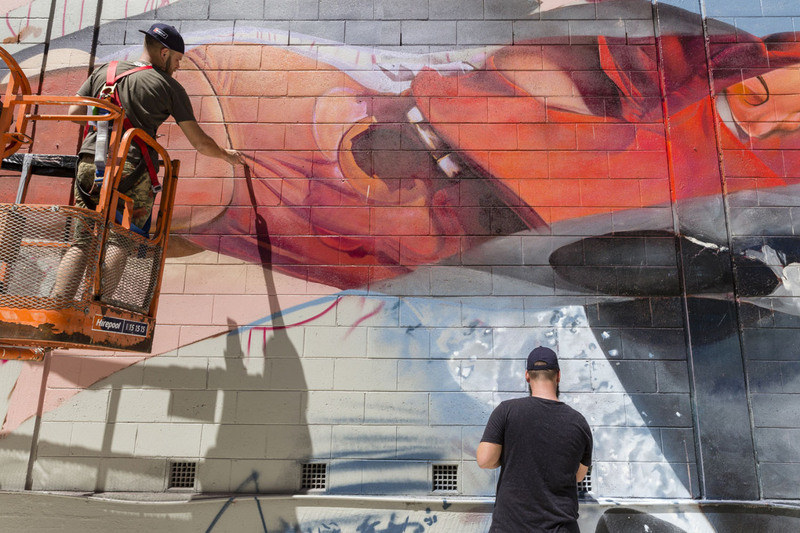 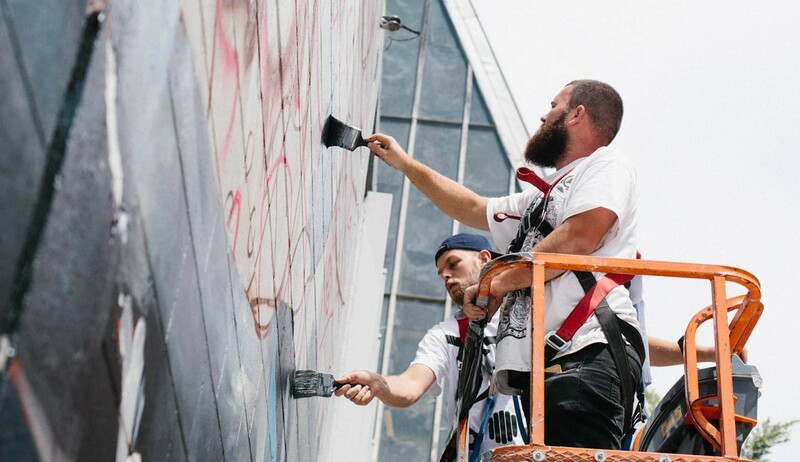 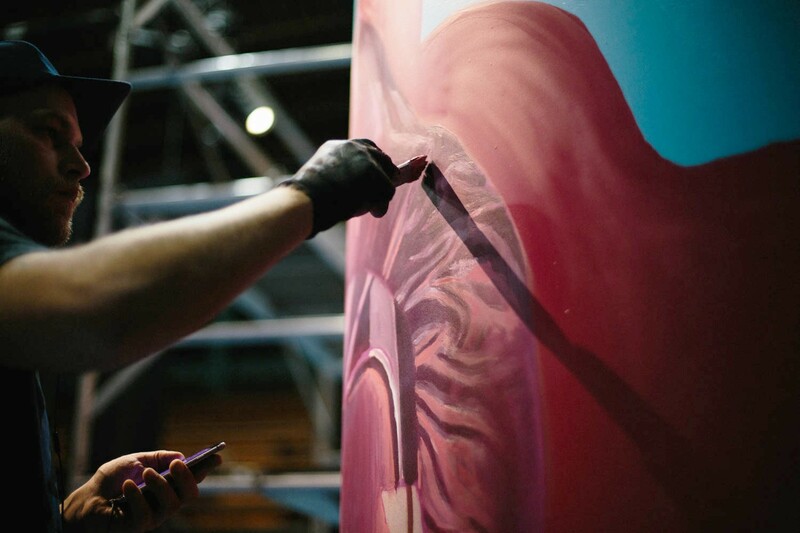 Artist collective Telmo Miel recently made their way out to New Zealand to paint a new wall for the Spectrum Street Art Festival. 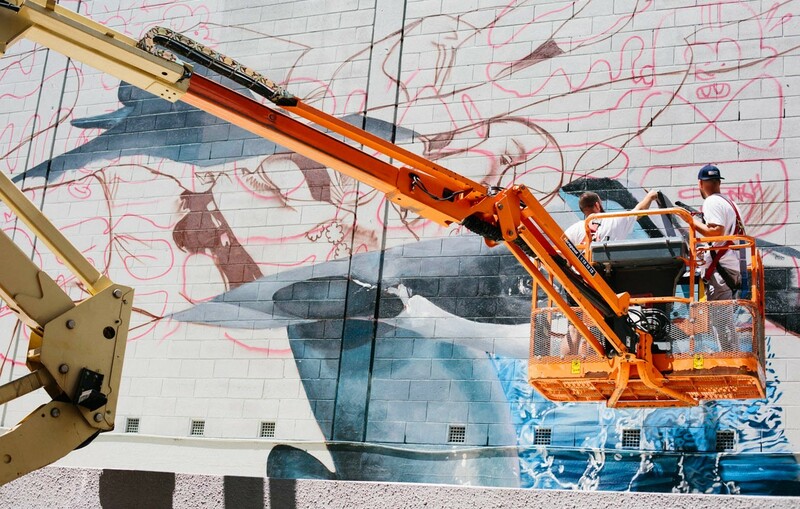 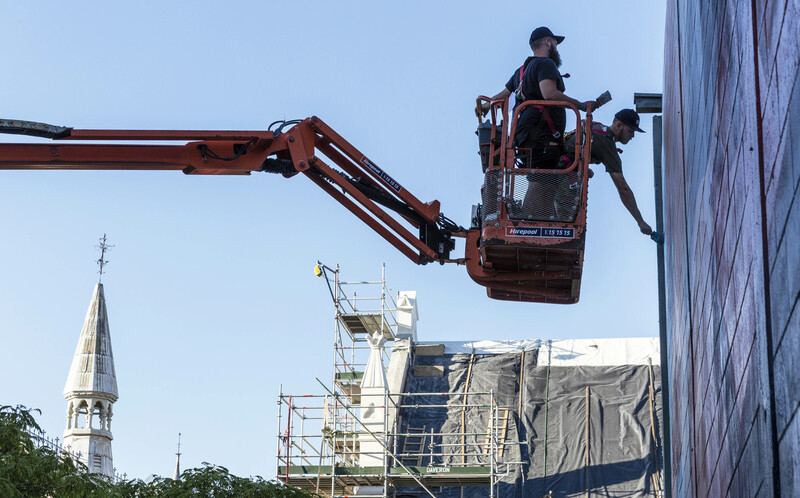 The boys worked away at a piece entitled “The Hector Dive” which is situated on top of a YMCA building. 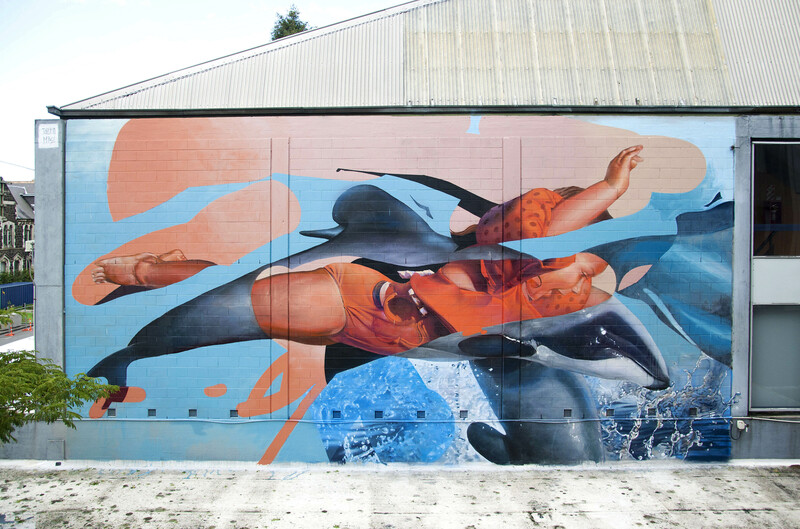 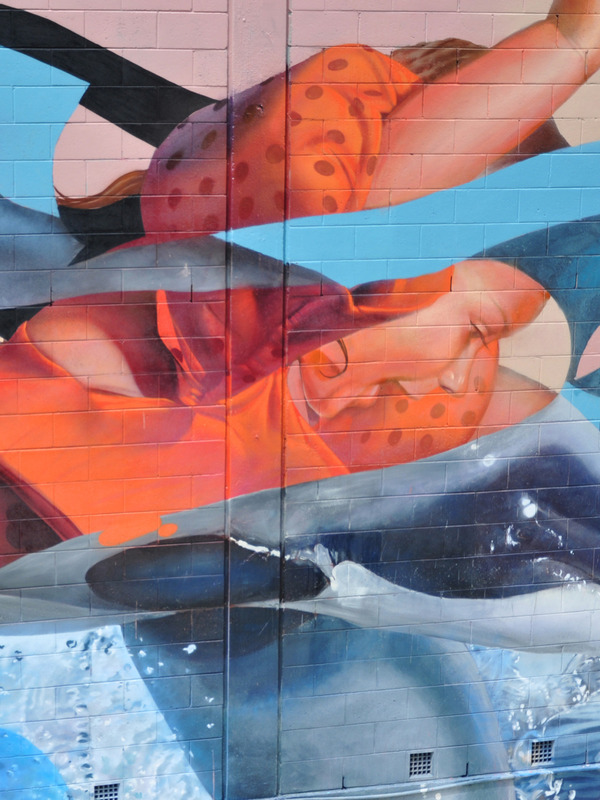 Their brand new piece on the streets of Christchurch features their bright, colourful and surreal aesthetic.